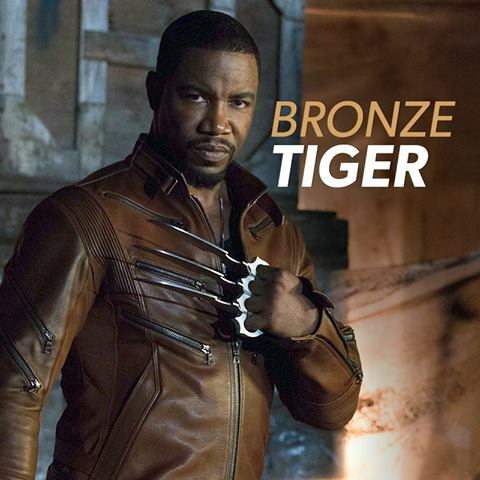 Here’s a new shot of Michael Jai White as the assassin Bronze Tiger in the CW’s Arrow. Looks like a made for t.v. Ghetto wolverine/Micheal Jackson knock-off.lol! I just don’t think that t.v. And Hollywood execs. Understand how important it’s is to comic fans that their characters are as close to the comic version as possible. Not only with their look but also their personality and origin. With all the advancements in technology I have to say I was disappointed in a lot of the movie adaptions of our HEROS. For example I was really hoping that the wolverine and x-men series was more like 300 with blood and gore and body parts flying around than the same old Hollywood pretty faces,lost love, long dialogue story models that’s so common. P.s. Thor always wears his helmet!